School Boy Smiles At The Camera As He Sits At His Desk While Working. Royalty Free Fotografie A Reklamní Fotografie. Image 43346081. Reklamní fotografie - School boy smiles at the camera as he sits at his desk while working. 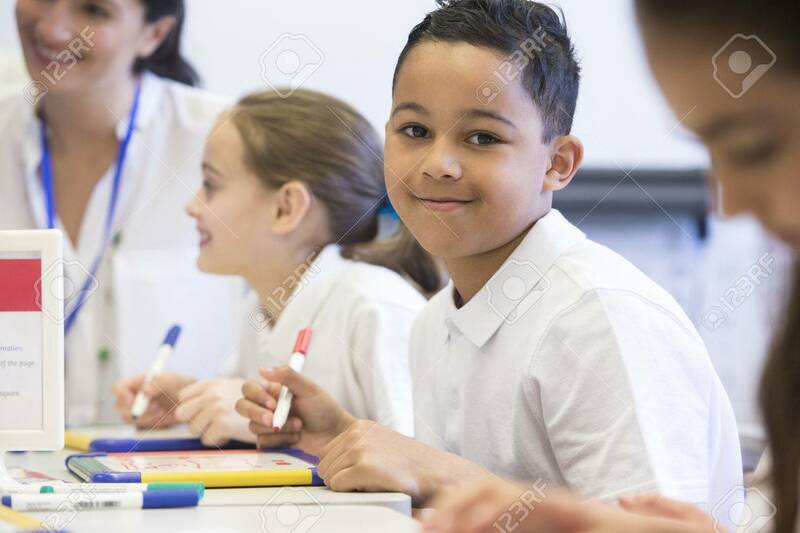 School boy smiles at the camera as he sits at his desk while working.